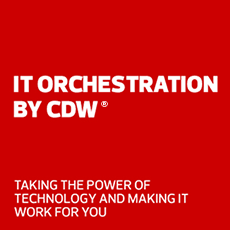 Deliver any app anywhere with F5 cloud and security solutions, orchestrated by CDW. F5 makes apps faster, smarter and safer for businesses, service providers and governments. F5 delivers cloud and security solutions that enable organizations to embrace their applications without sacrificing speed and control. Boost performance and increase scalability when migrating your apps to the cloud. Hear new insights on application delivery, digital transformation, security and more. Your business is driven by applications. Bring full- and self-service cloud-based security to protect your apps. Traditional firewalls can no longer keep up with fast-evolving threats. An advanced WAF creates operational improvements, reduces risk overall and gives you greater control over your applications. Silverline WAF gives your organization the ability to deploy app services across hybrid environments without upfront investments in IT infrastructure and support. The Security Operations Center helps deflect against a growing number of security threats. The rise of encrypted traffic makes network visibility more important than ever. SSL Orchestrator is a new step in protecting your applications, your network and your business. Hear how F5 has addressed challenges with encrypted traffic, including efficient decryption and reduced latency. Deliver dynamic network visibility and adaptation to risks and challenges by steering inbound and outbound traffic and smoothly managing decryption and re-encryption. The rise of encrypted traffic increases the risk of attacks hidden within encrypted traffic. Visibility into your encrypted traffic is an essential and critical security step. Transform your organization and increase mobility by delivering consistent application services across cloud boundaries. Automatically deploy pre-built app services to any and every app. Defend your applications with an advanced web application firewall. Give your application team greater flexibility to deliver services and your operations team the ability to enforce consistent network and security policies across apps. Overcome multicloud challenges to deliver any app, anywhere. Gain insight into the challenges and opportunities of digital transformation in this F5 global survey. The right WAF needs to keep up with today's threat landscape and protect critical apps during a breach. Learn how phishing campaigns work, where employees are vulnerable and what you can do about it.